SpaGarage is home to North Grenville's hair colour experts. Located in rural Oxford Mills right on the banks of Kemptville Creek, SpaGarage is a haven unto itself. 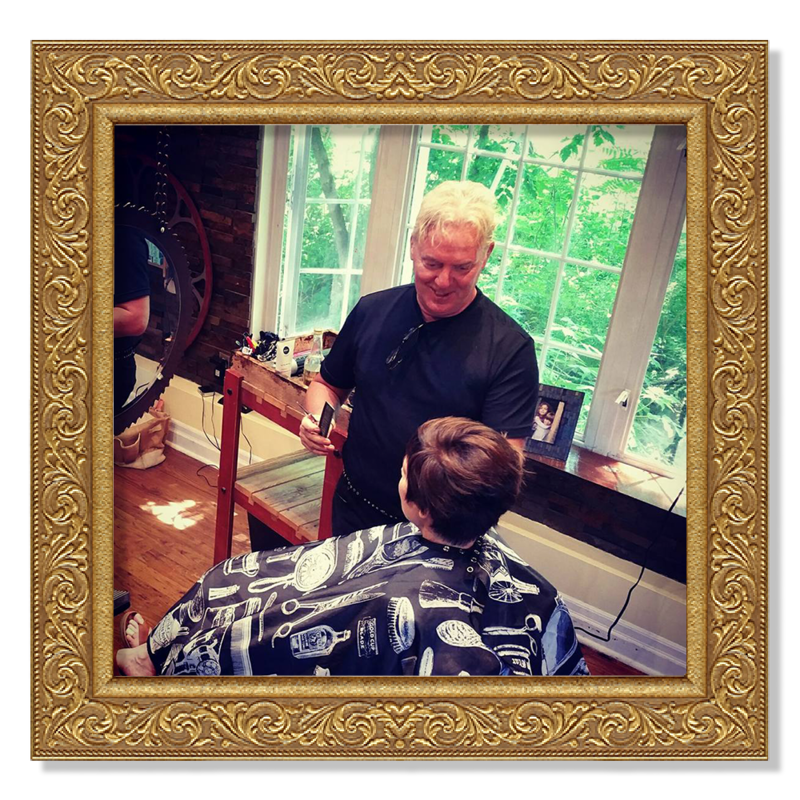 Transformations are our specialty - our salon is a testament to that. Located in a former garage, our space is constantly changing and offering delightful visual surprises to our guests. Here, Vincent takes tired colours and highlights – and gently restores them to their former lushness and glory. Happily married with 2 young children, Vincent was born and raised in London England and emigrated to Canada in the ’70’s. After attending secondary school, he apprenticed at the prestigious Vidal Sassoon Academy, and later worked as a junior stylist at the stellar Bond Street Sassoon salon location. It was during those heady and ground breaking days and nights that the passion and long lasting professionalism was deeply instilled-reflecting the commitment to excellence demanded by Sassoon himself, and pervades the work ethic to this day.